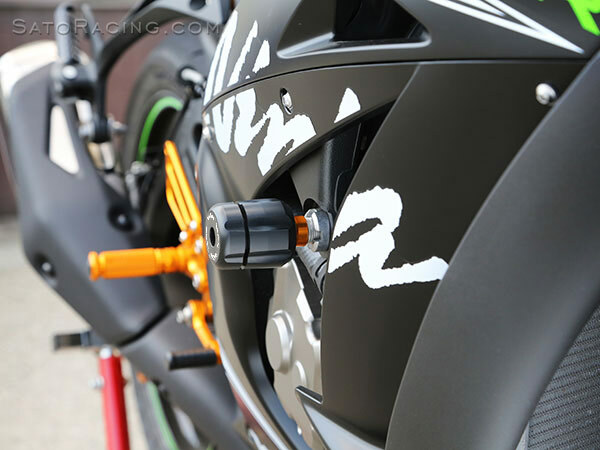 SATO RACING Frame Sliders for 2016-17 ZX-10R feature handsome 'revolver'-style slider pucks made of dense, abrasion-resistant DELRIN plastic, the ideal material for protecting the fairings and other exposed parts if you drop it at speed. 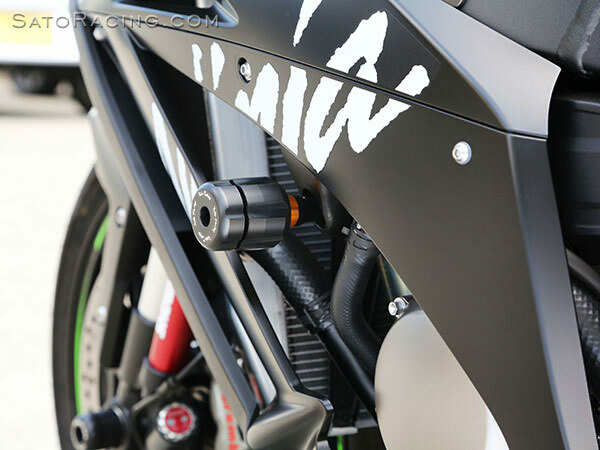 Sliders are mounted with anodized billet aluminum collars and chrome molybdenum bolts. 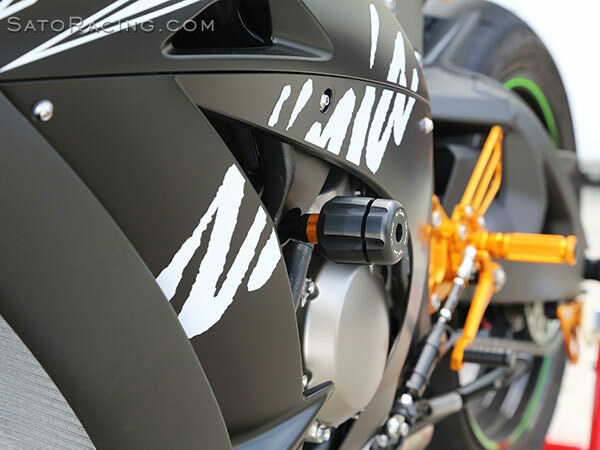 Part# K-ZX1016FSS-BK comes with compact, low profile slider pucks. Choose either low profile or full size slider pucks. 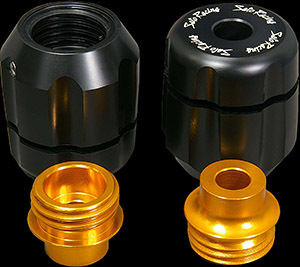 SATO 'revolver'-type slider pucks use an innovative twist-on design that simplifies installation and makes it quick and easy to replace just the slider puck without having to also unbolt and remove the mounting bolt. 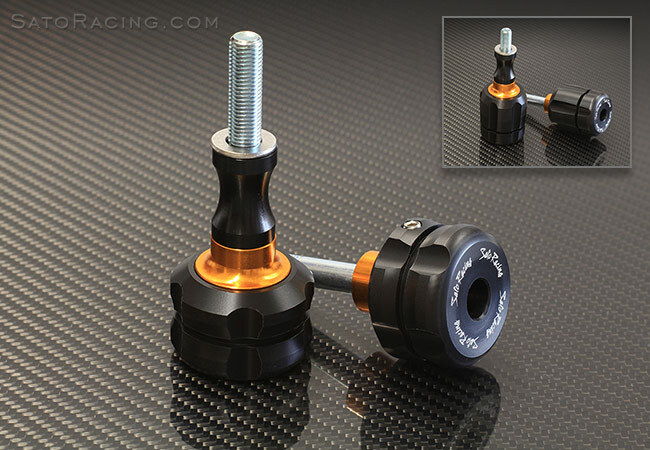 SATO RACING offers a full selection of Replacement Parts for all our Frame Sliders. 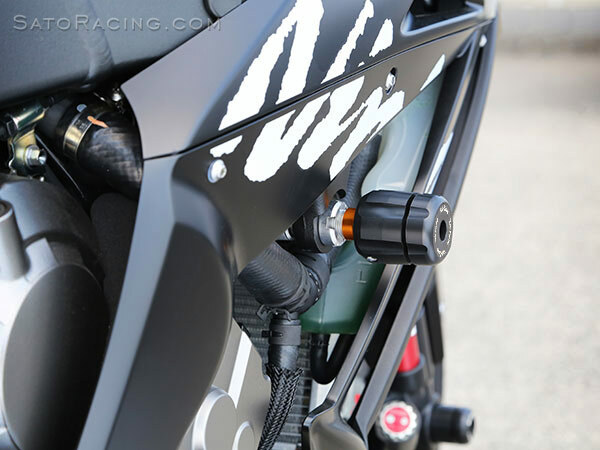 parts list included with your Sato Racing Frame Sliders.